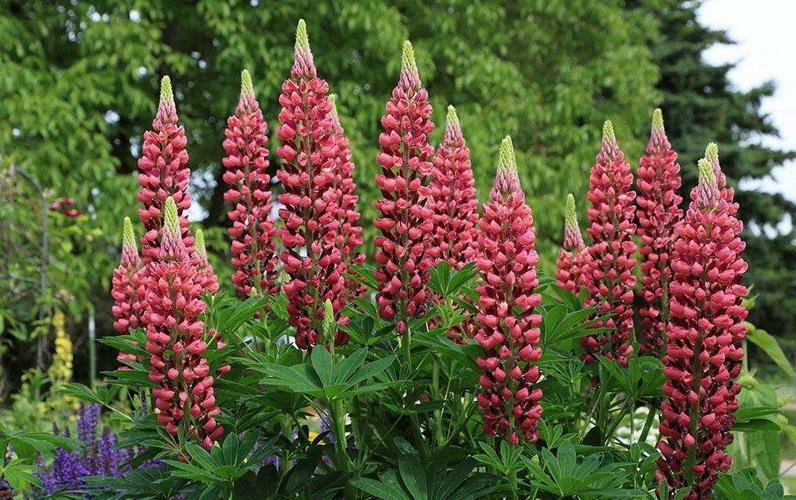 For a dramatic statement in your flower bed, try growing lupines (Lupinus spp.). 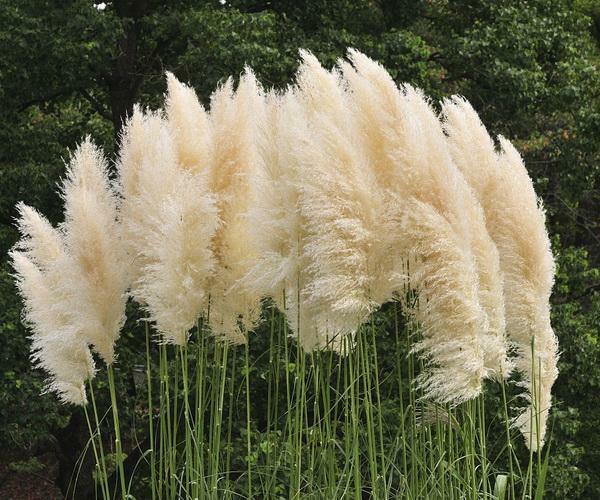 These herbaceous perennials have mounds of bright green leaves and produce compact spikes of flowers that can grow upwards to 42 inches tall -- perfect for attracting bees, hummingbirds and butterflies. The flowers of these legumes come in a range of colors from white, cream, pink, rose-mauve, pale yellow, all shades of blue and all shades of violet, including one so dark it's nearly black. Lupines generally thrive in U.S. Department of Agriculture plant hardiness zones 4 to 7, depending on the species and cultivar. Select a well-drained site with full sunlight or semi-shade; tall varieties of lupines may need protection from the wind. The soil does not need to be particularly rich, but it should be neutral to slightly acidic. Test the soil and add sulfur or peat moss several weeks before planting to adjust its pH to between 6.8 and 7.2. Because lupines bloom early in the season and may look unsightly after flowering, place them near the back of the flower bed. Transplant lupines in the spring. Dig a hole that is larger than the plant's container. Carefully remove the lupine from the container and gently loosen the roots with your fingers. Place the plant in the hole, fill the hole with soil and tamp down gently to remove air spaces. Water gently to settle the soil. Depending upon the species of lupine, space the plants 15 to 24 inches apart. 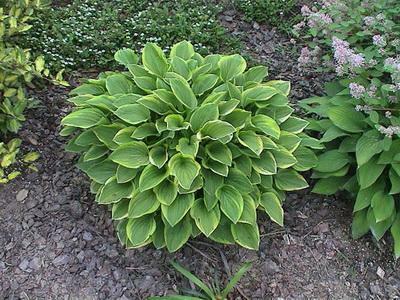 Apply light, organic mulch to hold down weeds and to help retain soil moisture. Water lupines regularly. Don't let the soil dry out completely. 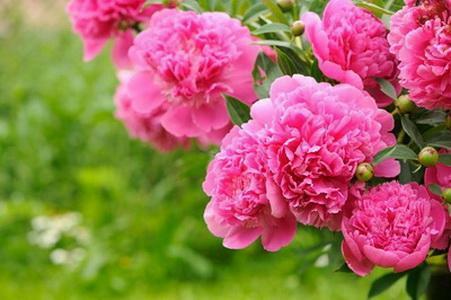 Apply a light amount of high potash fertilizer as the buds begin to form. 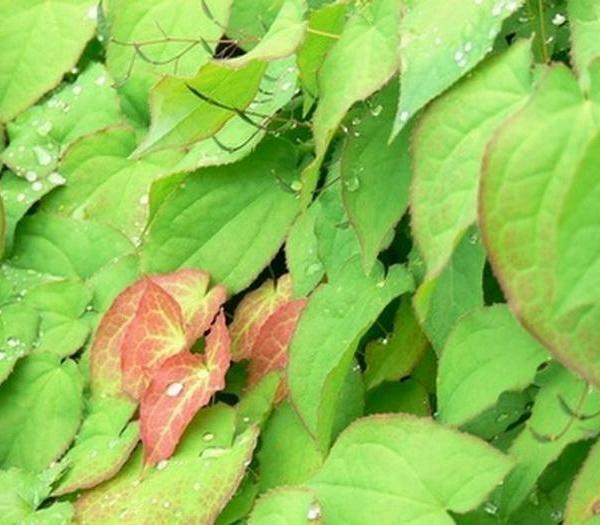 Powdery mildew can be a problem, as well as aphids. Control these with a general fungicide and pesticide. 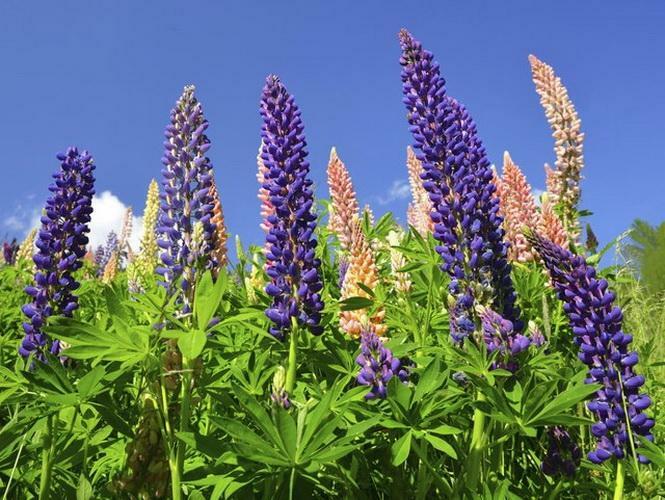 Lupines can also develop viruses that cause stunting and discoloration. If this happens, destroy the plants; do not add them to the compost pile. Watch for the lupines to bloom beginning in early summer and continuing through mid-summer. Deadhead the plants regularly, removing spent flower spikes with pruning shears to prevent seed development. This allows the smaller flower spikes to develop and keeps lupines from spreading out of control. However, if you want to collect the seeds, allow the pods to dry on the plant and then collect the pods. Open the pods and store the seeds in an envelope in a cool dry place until time to plant. 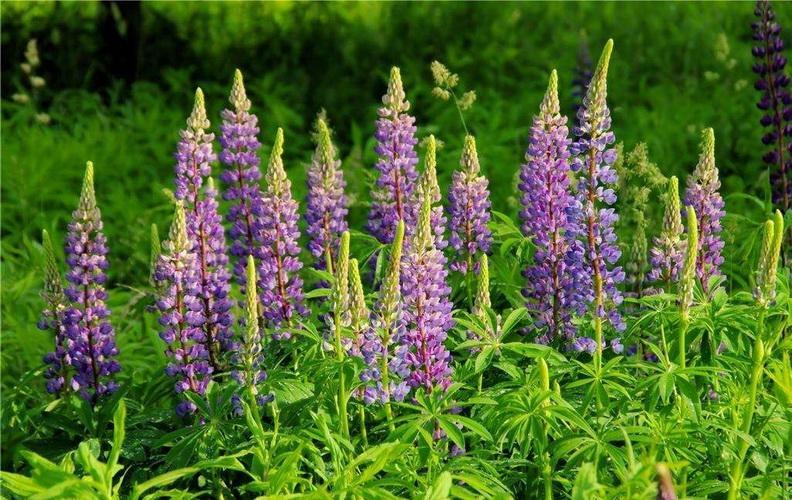 Sow the lupine seeds either in the early fall or early spring. Scarify (nick) the seeds before planting to quicken germination. Plant the seeds 1/4 to 1/2 inches deep. Because of the shallow planting depth, water gently so as not to disturb the seeds. Young seedlings require consistent moisture to help them establish healthy root systems.